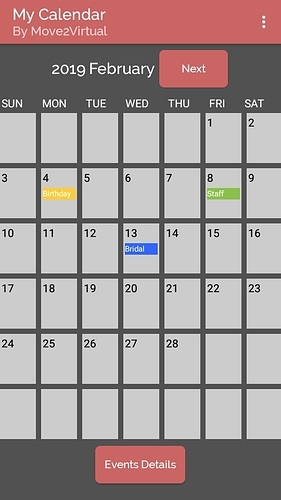 Calendar application is made in kodular platform without any calendar extension or component. 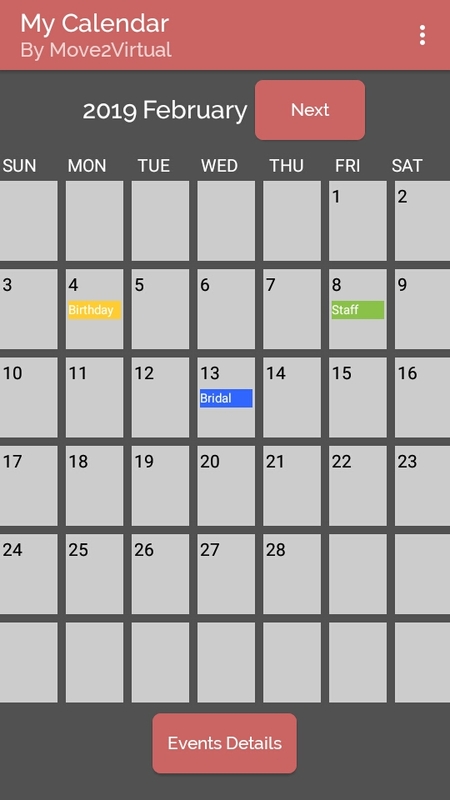 Features of this application includes Calender ofcourse, add events features and view events. 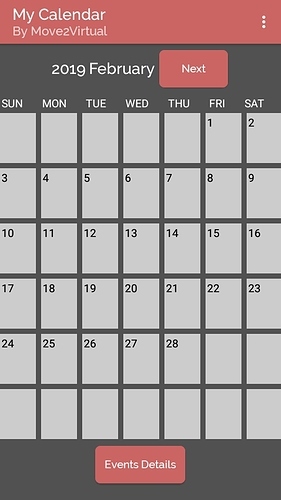 I have created this calendar manually. You can use extension, if there any. Please credit Move2Virtual if you use our AIA files. You can add tinyDb to store events. 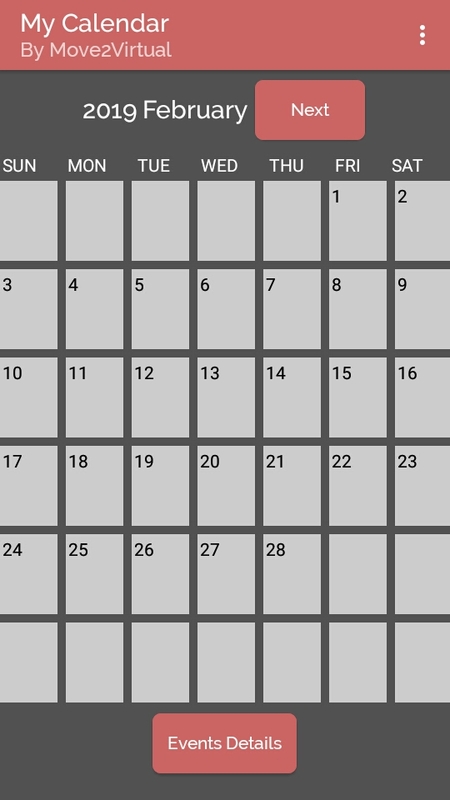 I have added only one event option, you can add more events option under each date. This application is related to events so I didn’t add previous months functionality. I you want to add them go through the code, you’ll understand how to add past months. You can add Push Notification as an event reminder. Similarly you can add send message option. When next month button clicked reset all label events. You can download again from website. I have updated the link. click and long click events are often not detected. That’s really nice, but I have just a little advice: I think that with the use of some general procedure you can eliminate 70% of the blocks you used. I think that with the use of some general procedure you can eliminate 70% of the blocks you used. I agree besides there are several ways to make a code. Main purpose of this application is to give general idea. Play around with the code, edit it as you want, change few things hopefully you’ll get the exact output you need. Great! I was also working on a similar thing to list the events in ongoing and upcoming month. But you did it first!